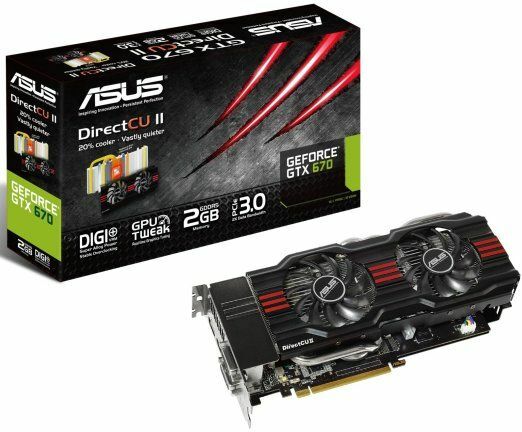 Asus has launched its GeForce GTX 670 DirectCU II and GeForce GTX 670 DirectCU II TOP cards in India, priced at Rs. 30,000 and Rs. 31,000 respectively., with a warranty period of 3 years. The two Asus GeForce GTX 670 DirectCU II cards are virtually identical, with the TOP edition boasting of a higher core clock rate (1058MHz base / 1137MHz boost, compared to 915MHz base / 980MHz boost on the standard edition). 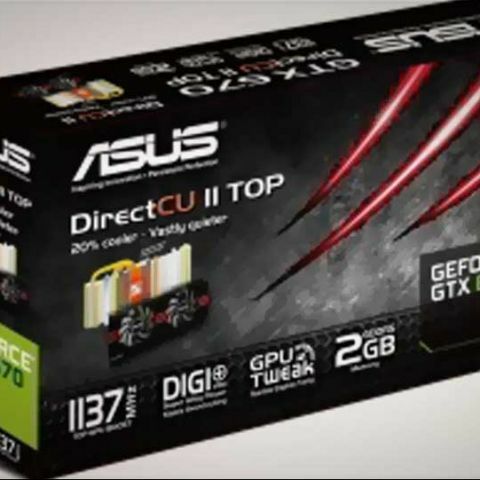 Based on the new 28nm Nvidia “Kepler” GPU technology, the Asus GeForce GTX 670 DirectCU II uses the Taiwanese giant’s DirectCU heat mitigation technology, as well as 8-phase DIGI VRM power delivery, dual fans, and Super Alloy Power components. All this, according to Asus, makes its GTX 670 cards run 20% cooler and considerably quieter than Nvidia’s reference design. This potentially gives a large overclocking headroom, together with the Asus GPU Tweak utility. 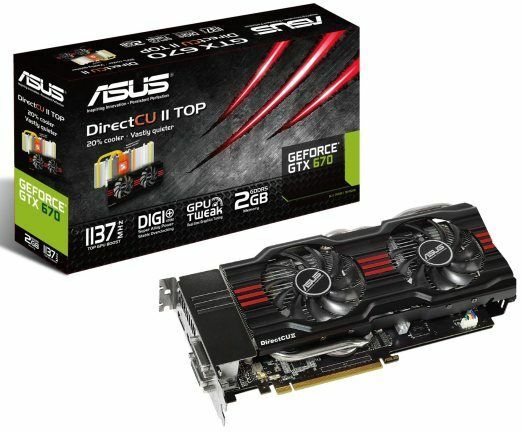 ￭ For optimized cooling, the Asus GeForce GTX 670 DirectCU II TOP uses a two-slot form factor. Buyers should make sure their cases can accommodate this. ￭ Actual boost clock speeds may vary by system configuration. For more information, check www.geforce.com.